How Small or Large a Device Is? 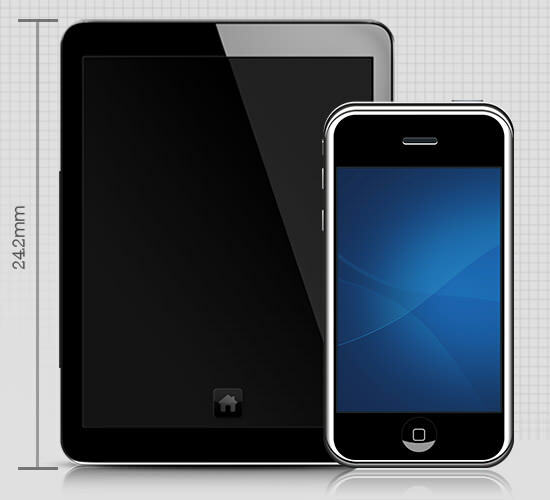 'Mobile Device Size' is a free online web app for comparing the relative size of various mobile devices one versus the other, including mobile phones and tablets devices. Choose devices from various manufacturers, including Apple, Samsung, HTC, Nokia, Motorola, Sony Ericsson, Dell, Asus and other vendors. Using Mobile Device Size web app you can view selected devices side by side and from different sides, sort them by their width, height, depth, weight, display size, screen resolution, announcement date and camera resolution. New cell phones and tablet devices are being updated as they are announced by the media. Mobile Device Size app also allows you to read Amazon user reviews and watch videos about a specific device, including mobile phone and tablet video reviews, unboxing and sample/test videos (taken with the device's camera). By using Mobile Device app you will be able to visually comprehend how small or large a specific cell phone or tablet is in relative to other devices. Another option is to view a real life-size image of a mobile device by supplying your screen dimensions in inches. The site is updated daily with more devices. updated on an ongoing basis.